This movie comes out Christmas Day! Get your tickets early. We as a book club loved this book. It is one of those books that almost everybody gave it a 5 star rating (and that is unusual). 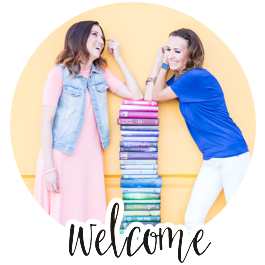 If you want to read this book for your book club then check out our Book Club Ideas and our Book Review. The movie is rated PG-13 and if you are a parent like me then you might want to know beforehand if this is a movie you would take your kids to so find out here on IMDB's Parental Guide. 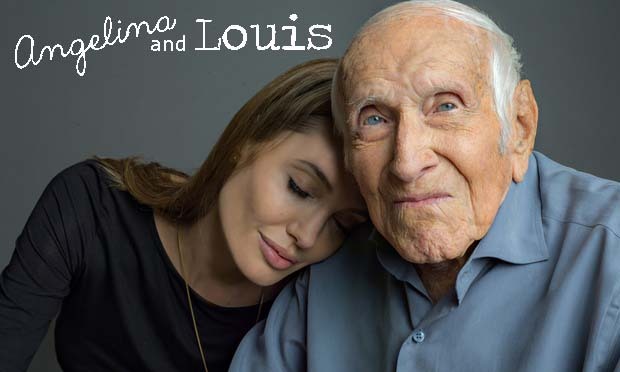 Angelina is the one who got this movie going. 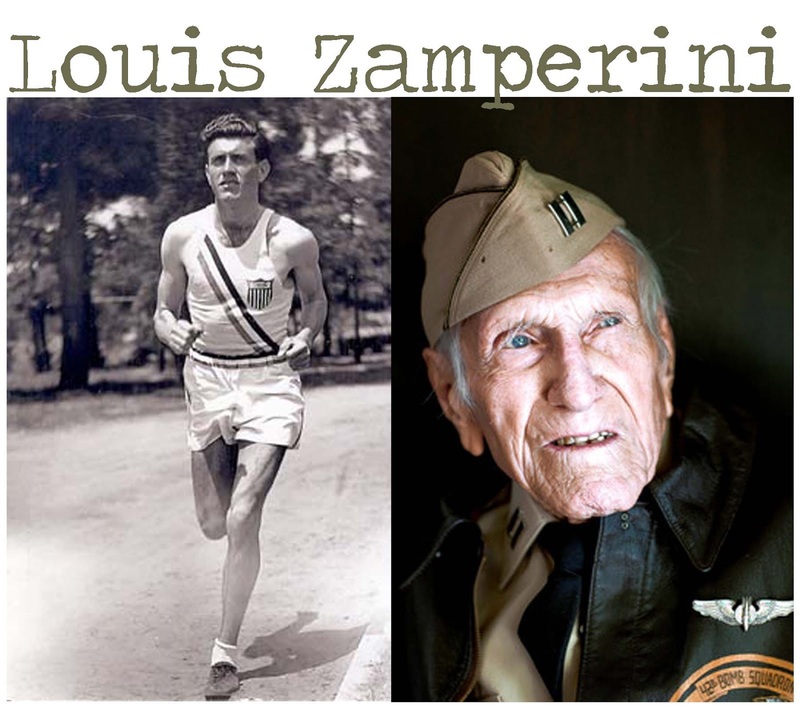 The rights to Louis Zamperini's story were bought by Universal clear back in 1956. And it has been dead in the water ever since. But when Angelina saw that they were looking for a director for this movie (for 11 years now) she wanted this to be her next project. You've got to read the whole story of the history of the movie in the making here. 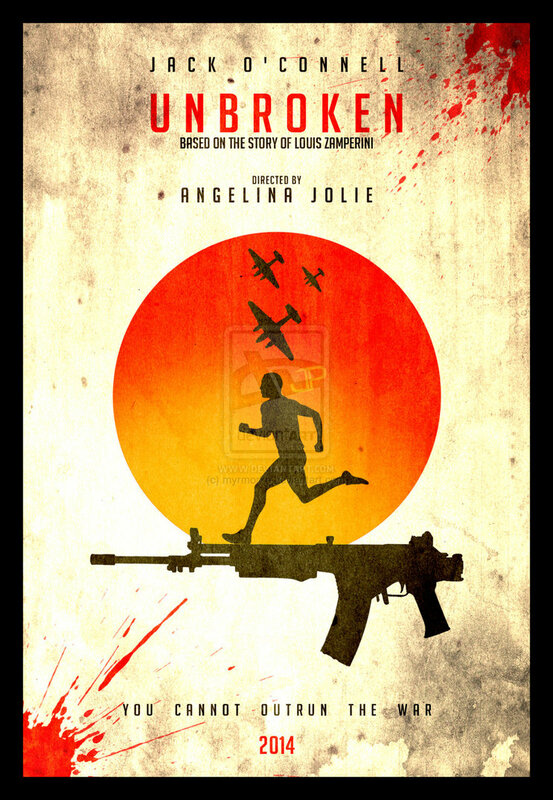 It is amazing that Angelina was the one who "breaks the curse of 'Unbroken'" This is her third film that she has directed. 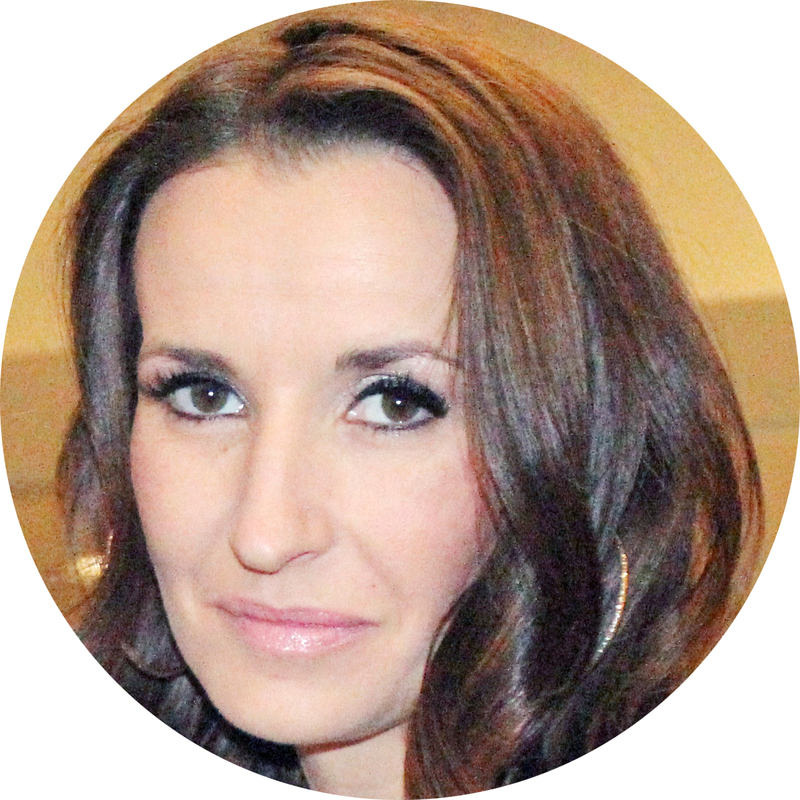 The first was a documentary "A Place in Time" and her second film was "In the Land of Blood and Honey". And if you like her directing then I think you're in luck because it looks like she's not stopping any time soon. She has two more movies announced that she will be directing "By the Sea" starring herself and Brad Pitt (How fun to work with your honey!) and "Africa". Some of the other movies that she has acted in are "Maleficent" , "The Changeling", "Salt" and "Mr. and Mrs. Smith". This beautiful lady married her long time love Brad Pitt this year on August 23 in France with all their children there. Congrats Angelina!!! On set doing her thing! 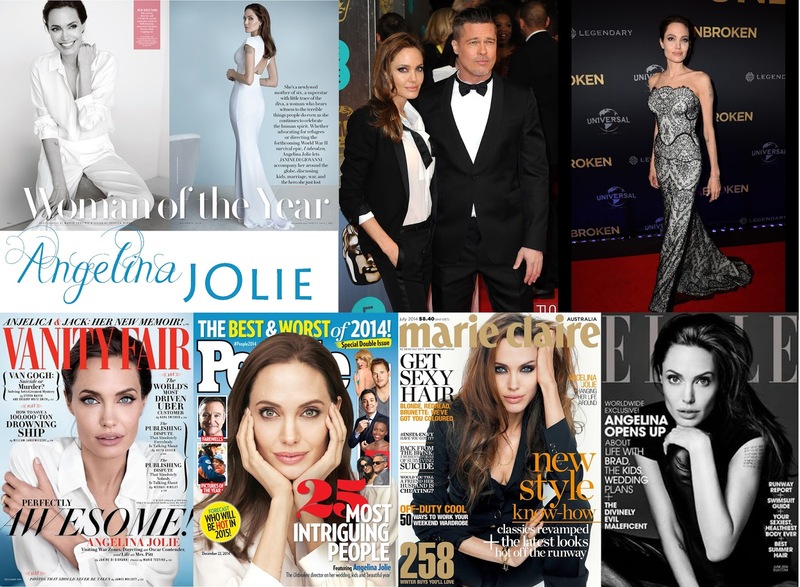 I found a few Magazine Covers Angelina and Jack were on together. If you want to read the full articles on them in each of the magazines then click on the photo source. Since there are so many men in this movie I thought I would spot light a few of them and dive a little deeper into their personal lives by seeing who they are dating or married to. 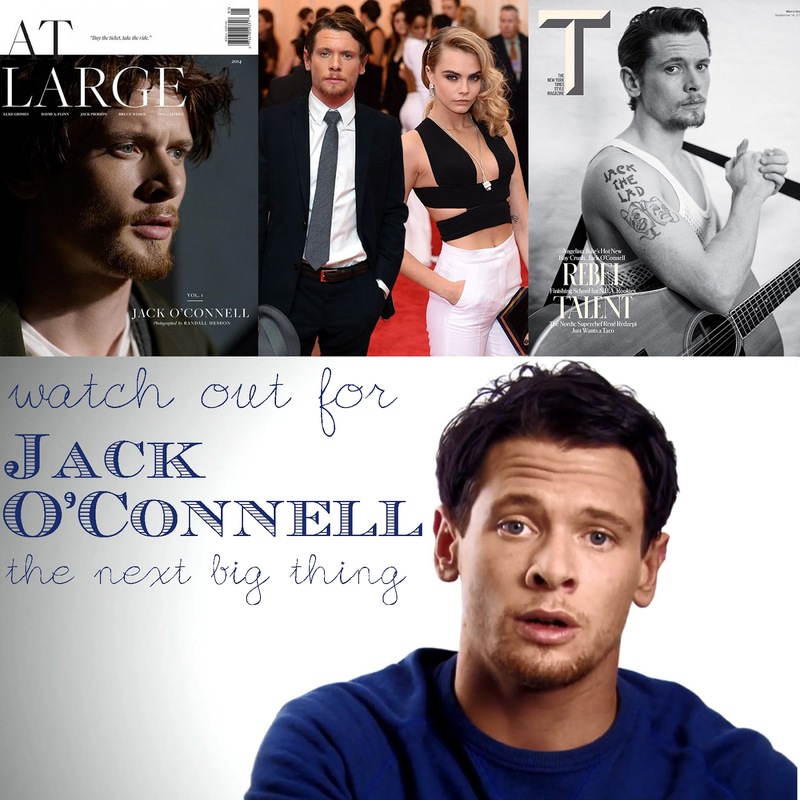 You may recognize Jack from several movies and a certain British TV show "Skins". He was in "300: Rise of an Empire" , "Starred Up" , "Eden Lake" and "This is England". He has a few upcoming films next year: "Tulip Fever" (where he meet the girl he is rumored to dating now fellow actor: Cara Delevingne), "The Man Who Killed Don Quixote" and "Money Monster". You will remember him from "Tron" , "Four Brothers" , "Troy" , and "Death Sentence" . And his upcoming films are: "Mojave" , "Pan" (playing Hook), "War on Everyone" and the next untitled Tron Sequel. He is also dating the famous Kirsten Dunst for many years now. Love her! Okay I know you are thinking right now where have I seen him. Just think lots of piercing and you might remember him playing "Eric" in "Divergent" . He was also is "A Good Day to Die Hard" , "Jack Reacher" and "I, Frankenstein". 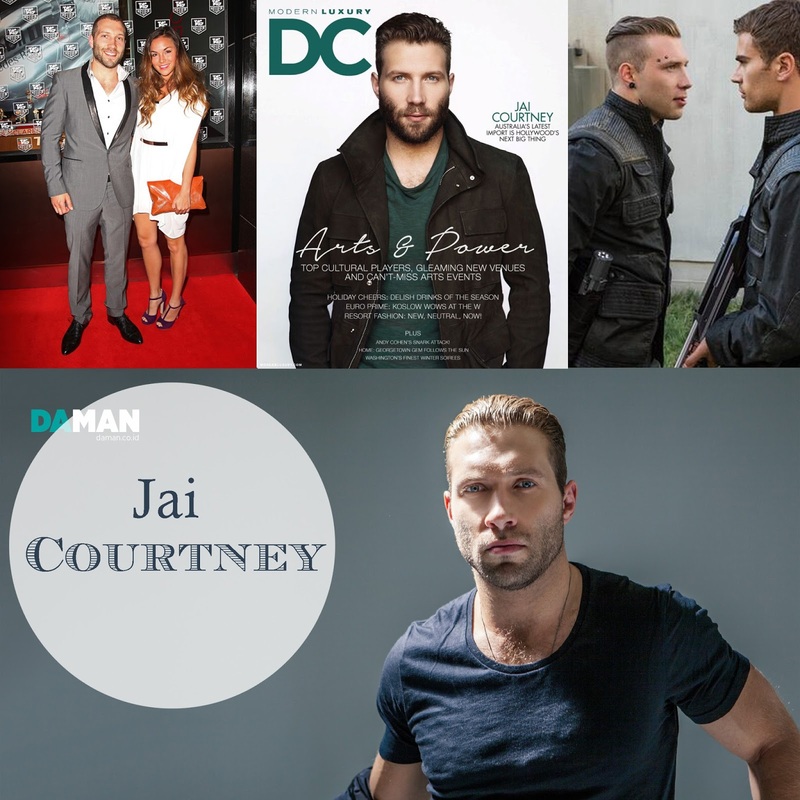 He has a bunch of upcoming projects: "The Water Diviner" , the much anticipated "Insurgent" (which I will do a Book to Movie post on), and "Terminator Genisys". He was dating Gemma Pranita up until a couple of days ago so it looks like he is a single man again ladies. But who knows the real truth I think this is all speculation as of lately. You may first think of Domhnall in the Harry Potter Movies playing Bill Weasley but he has recently been in "About Time" with actor Rachel McAdams (whom he is not dating) and really I looked really hard to find out who he was dating and I couldn't find the answer so if you know let me know in the comments and I will update his status. Other movies are "True Grit" and "Frank". He does have a few upcoming films coming out next year: "Brooklyn" , "Ex Machina" , "The Revenant" and he is going to be in the next "Star Wars: Episode VII - The Force Awakens". 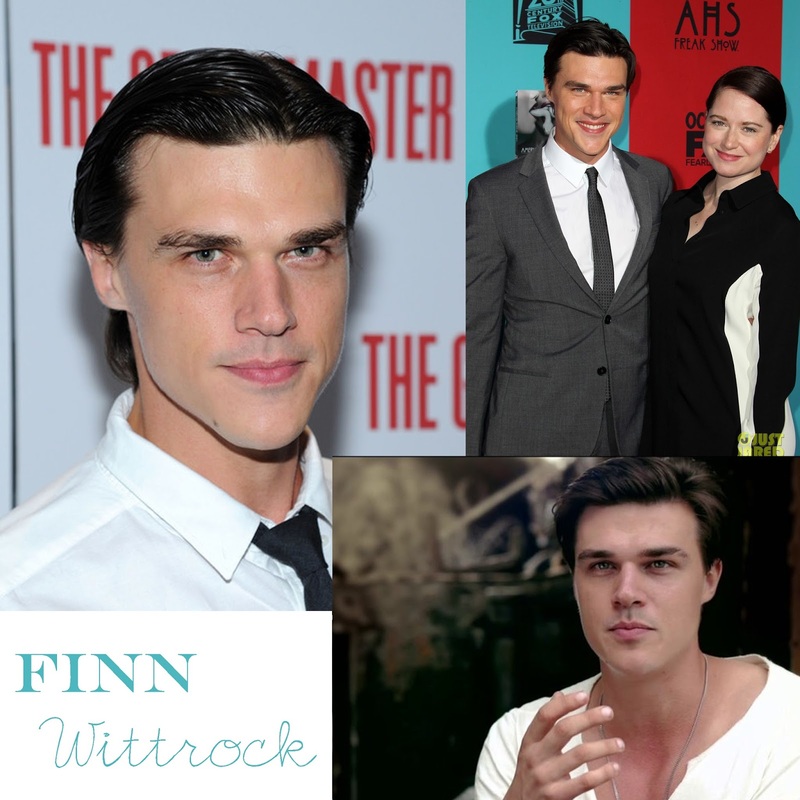 You would have seen Finn in "Noah" , "Winter's Tale" , soap opera "All My Children" and currently in "American Horror Story". His upcoming projects are: "My All American" and rumored to star in "The Submarine Kid" plus his work on TV show "American Horror Story". Finn recently married long time girlfriend Sarah Roberts in a surprise wedding in October of this year. 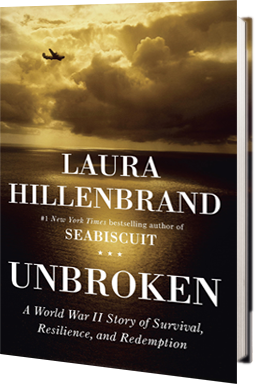 ﻿﻿Laura Hillenbrand (born 1967) is the author of the acclaimed Seabiscuit: An American Legend, a non-fiction account of the career of the great racehorse Seabiscuit, for which she won the William Hill Sports Book of the Year in 2001. The book later became the basis of the 2003 movie Seabiscuit. Her essays have appeared in The New Yorker, Equus magazine, American Heritage, The Blood-Horse, Thoroughbred Times, The Backstretch, Turf and Sport Digest, and many other publications. Her 1998 American Heritage article on the horse Seabiscuit won the Eclipse Award for Magazine Writing. Born in Fairfax, Virginia, Hillenbrand studied at Kenyon College in Gambier, Ohio, but was forced to leave before graduation when she contracted chronic fatigue syndrome, which she has struggled with ever since. She now lives in Washington, D.C.
Do you want to see more Book to Movie Posts? Have a fun time at the movies! Leave your review in the comments. This is such a great post! it got me super excited to see this movie!!! 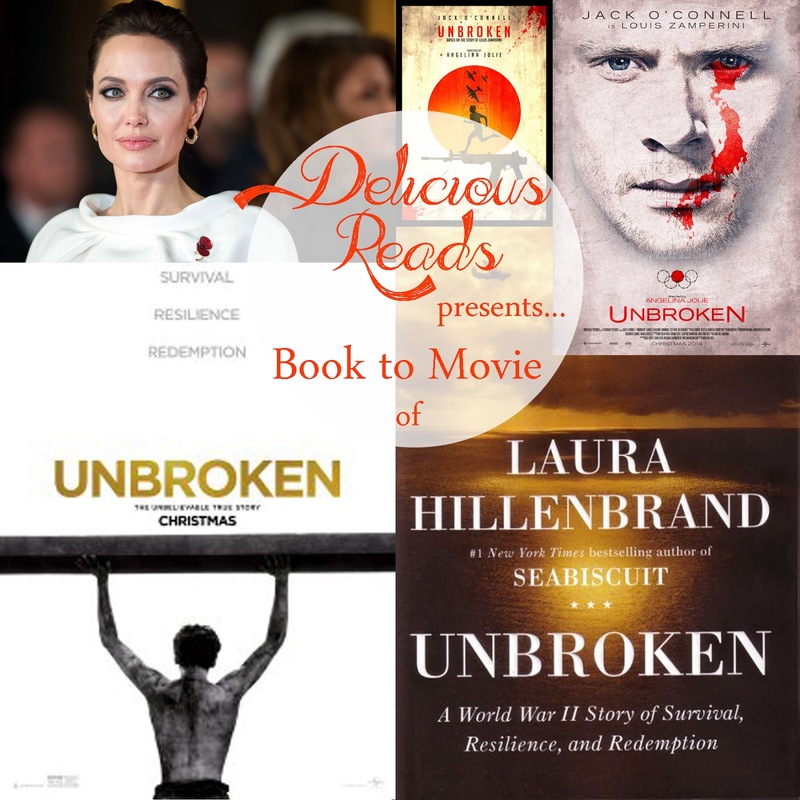 Unbroken is one of my top five favorite books so I can't wait to see how angelina Jolie has turned it into a movie! I just saw the movie. And I wanted to see it on Christmas Day but unfortunately I didn't look to buy tickets until 2 days before and they were sold out. So I just got back and I think Angelina did an amazing job and so did Jack O'Connell. Wow! Loved it. It's good to read about it.